Cinema, a fairly young art, has been a subject of fascination throughout its short history. It’s affected our lives more than any similar way of entertainment or creative expression, and has made its way into our homes rather quickly. We bonded with people we saw in movies. We cried and laughed with them like they were real. Side by side with movie darlings stood villains. Meant to be the bad ones, they were often devoutly followed and loved just as heroes, and sometimes even more so. The reasons vary. From superior intellect and appeal to brutal honesty and sense of humor, one thing is the same for all of these: they are surprisingly likable. Although Bret Easton Ellis’ controversial novel was an interesting read, it got annoying from time to time with the needless repeating of brand names and complicated jokes. The movie, on the other hand, took the good aspects of the book and surpassed it in almost every way possible. 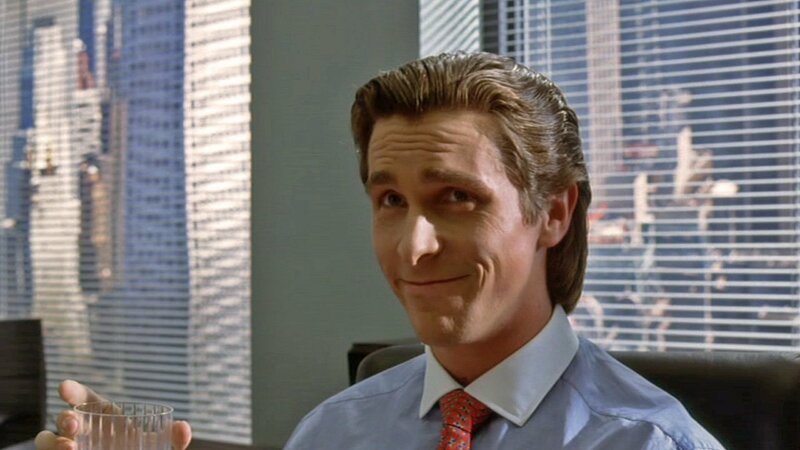 There are many fantastic characters in this dark comedy, from Detective Kimball (Willem Dafoe) to Paul Allen (Jared Leto), who is brutally butchered by an ax, but the one that stuck with the audience long after watching is undoubtedly its main character and villain: Patrick Bateman. He’s young, handsome and rich. Besides that, he’s a misogynist, a cannibal and a serial killer. Doesn’t seem like a nice guy, right? Well, he isn’t, but you can’t help but feel pity for him near the end, when we see him in the office, frightened and confused. It isn’t a reasonless pity, that’s for certain. Whether you like Patrick for Christian Bale’s brilliant performance, his good looks, or maybe the ultimate message his character carries, you know how lovable this maniac is. 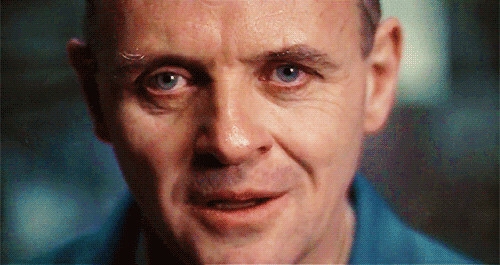 Moreover, depending on your interpretation of the ending, Bateman’s killings could be just products of his imagination (albeit it contradicts the lousy sequel), which isn’t necessarily a bad thing. When there’s Hitchcock behind the camera and Perkins in front of it, you have a masterpiece. Filmed in black and white almost 60 years ago, “Psycho” remains an indisputable gem which will never leave you cold. 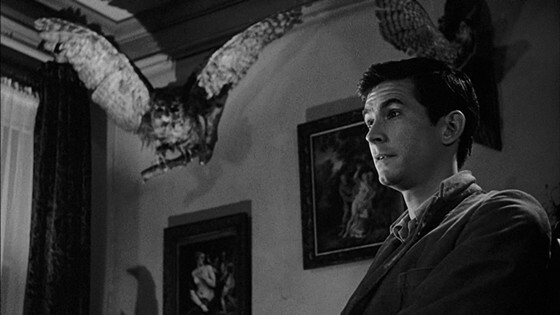 One of the reasons why is it considered a great flick is its main antagonist: Norman Bates. A quiet, innocent boy. Alas, he lives with annoying mother, who isn’t quite friendly to strangers. He still loves her, no matter how peevish or demanding she is, and his tender personality seems to stop him from leading the life he wants. That’s how things appear on the surface. But from what we know for now, he doesn’t look like a villain at all, doesn’t he? During the movie, the mother descends into lunacy through numerous despicable acts. Norman, however, is afraid to react. He covers up her dirty work, unable to escape because of his blind loyalty. At the end, we see one of the most disturbing and the most unpredictable plot twists ever, revealing Mr. Bates’ true nature. But then again, he’s a troubled man with multiple mental issues. You can’t blame him for what the environment where he grew up (and nature) made him be. And Perkins did one hell of a job with the character, so it’s hard not to love this sweet lad, even after his dark side is unveiled. When the first movie of this cult franchise came out, nobody thought it would be much of a success. But it was, at least when it came to the box office, which led to 10 sequels and a reboot. The movies were mostly of debatable quality, yet they still somehow managed to obtain lots of money, making “Friday the 13th” the highest grossing slasher franchise of all time. 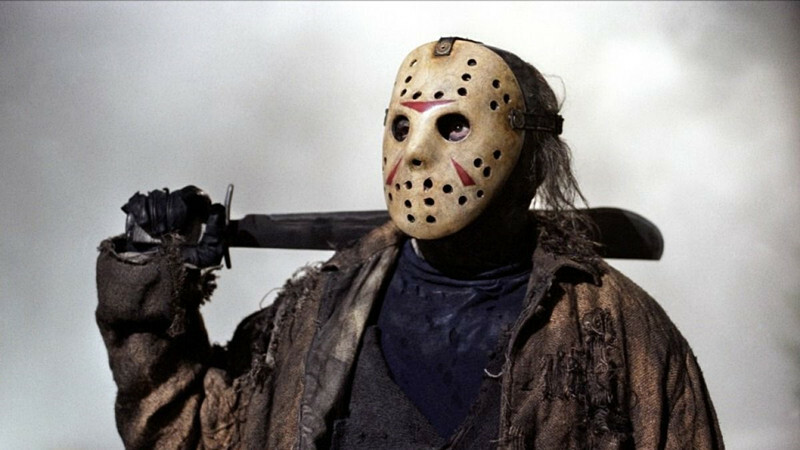 Among the very few innovations these exploitation films brought to the silver screen was the tremendous, vengeful Jason Voorhees, who kept his iconic status to this day. What made this machete-wielding maniac so memorable in a pile of similar 80’s madmen? Unlike Patrick and Norman, who are usually loved for the remarkable performances by the actors who portrayed them, Jason has no lines (except for a couple of groans and screams) and little time on-screen, thus it isn’t quite a performance. The motive we can all understand is what makes him unique and appealing to the audience, to the point where he got thousands of fans around the world. It’s simple but relatable, and as such, it made our villain both likable and profitable. And sadly, since the movies were made with a low budget with the main goal being making money, the characters were often stereotypical and badly written, making Jason the star of the show, as he was far more interesting. Directed and written by the master of modern indie cinema, “Inglourious Basterds” is brilliant in many ways. Just like “Psycho,” this flick is a perfect combination of talent from both sides of the camera. Many big names were part of the project, from good ol’ Tarantino to Brad Pitt and Eli Roth, but it was an unknown actor who stole the show. 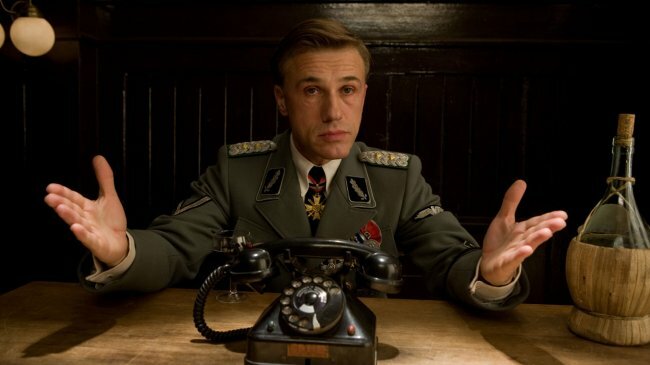 Christoph Waltz, who previously never had an important role in mainstream cinema, made himself a legend through the unforgettable portrayal of Colonel Hans Landa. Landa is evil, yet charismatic and highly intelligent, which is the major cause of him being adored by viewers, despite his atrocious deeds. Other than Waltz’s acting, credits for the Colonel go to Quentin Tarantino and his witty (and ingenious) writing, who said the character was the best he ever wrote. Overall, the only bad side of this bad guy (and the movie) is a kind of sensitive topic for plenty of sarcastic gags and parody, and we know such stuff frequently offends people who want to be offended. What started out as a filler ended up being the best motion picture Luc Besson ever directed. 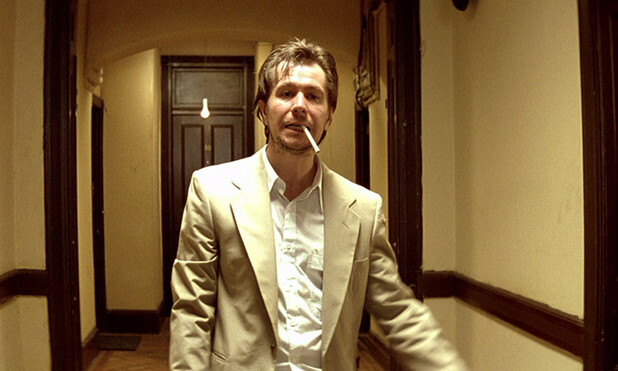 It will be forever remembered for Natalie Portman’s film debut as Mathilda, and Jean Reno’s role of hitman Léon, and of course, Gary Oldman’s incredible part as Norman Stansfield, the corrupted DEA agent. The most famous fictional crook is probably loved more than he should be. He killed a family of four because of cocaine, including a four-year-old. He mistreats his colleagues, and abuses his power regularly. But he’s also charming, and very interesting to observe, so every minute of Norman’s screen time is pure enjoyment.